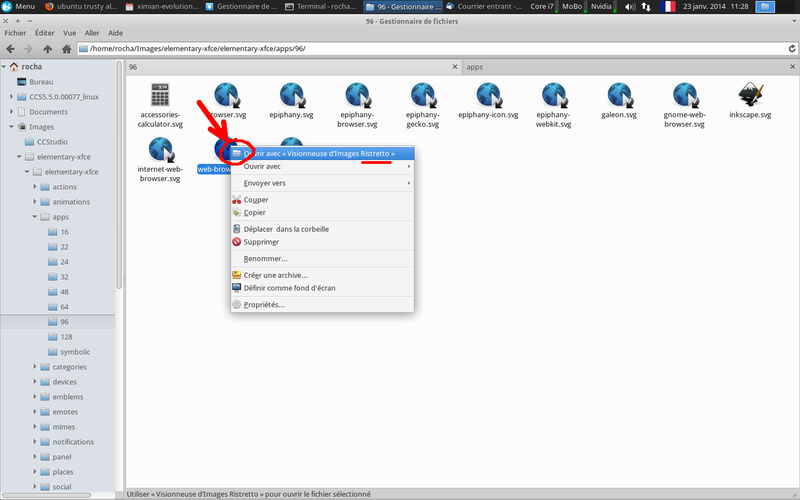 The icon of the default application (first application) in right click menu is wrong, with a generic folder icon in the place. Take a look at the picture. I'm wondering whether that isn't a design decision, but we'll see what responds we get from upstream. 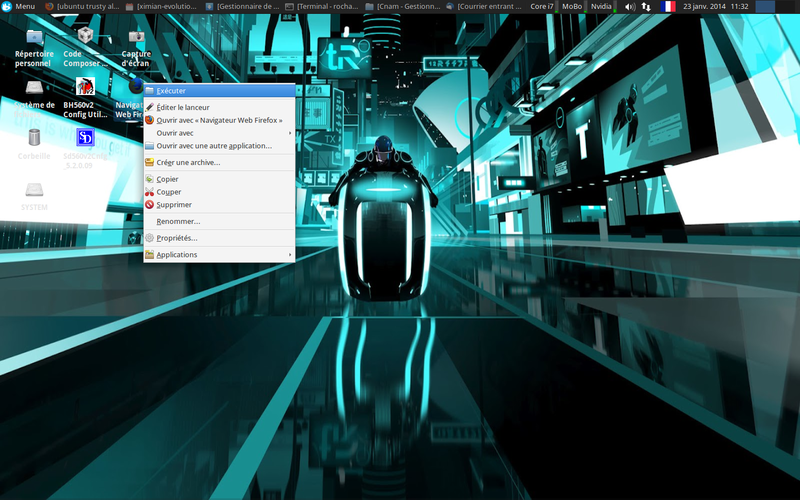 This patch resolves the problem and additionally assigns icons to the "open in new tab/window" menu entries. The changes can be tested by installing thunar from my Testing PPA. The attachment "menu-icon-tweaks.patch" seems to be a patch. If it isn't, please remove the "patch" flag from the attachment, remove the "patch" tag, and if you are a member of the ~ubuntu-reviewers, unsubscribe the team. - Add menu icon to "Create Folder..."
- Remove menu icons from "Open in New Tab/Window"
- Add menu icon to "Create Document"
- Assign generic file icon to "Empty File"
This patch resolves the issue (show application icon instead of generic folder icon) and tweaks some other menu icons on top of that (New Tab/Window, Create Folder/Document and Empty File). 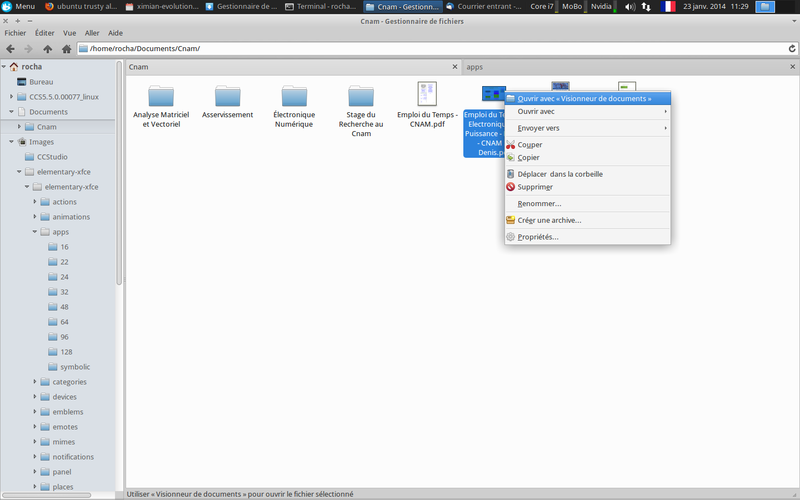 Tested and applied by default in Xubuntu 14.04 and 14.10. Could someone please make sure this patch is pushed? Closing the report then. Thanks!